We started more than twenty years ago under a different brand and now we are approaching the market with our own products. We have passion, we have heritage, and we have knowledge for it. A work we love for us and a unique writing instrument that comes directly from our hands, not a mass production object. When you buy a Santini pen, you can be sure you are buying a product which is 100% made in Italy. From the processing of raw material to the manufacturing of the finished product, we take care of every single step at our workshops. The most sophisticated computer technology is combined with incredible manual skills, to give you a unique and exclusive product. To date, there is only another company in Italy that manufactures all pieces required for a pen, including the nib, which requires expertise, complex and advanced technologies and, above all, passion. Let us talk about our nibs for a minute. 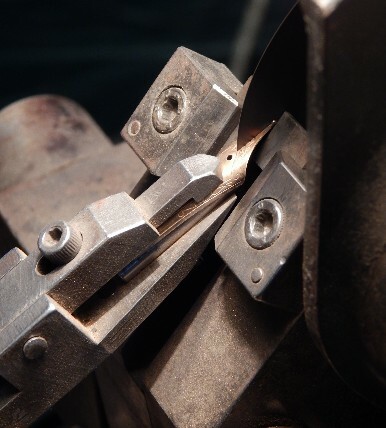 We use specially designed machines, whose project is often developed directly by us, passion and incredible manual skills to manufacture our large 18k nibs, featuring rich decorations and entirely hand-finished. It is a very complex and delicate process, that is why there is only another company in Italy that manufactures its own nibs. What about other companies? They just buy nibs from foreign manufacturers. Choose our pens. Choose Italian craftsmanship. We tried to describe our work in detail, we tried to share our passion with you. If you love writing and you want to have a valuable writing instrument, send us an email. Your comments and suggestions are valuable to us and will help us improve our products and services to meet every need.